"The Irresistible Me Jade with 3D technology for multiple contact points and special ceramic tourmaline heating surface will give you quick and effortless straight hair without heat damage.The Irresistible Me Jade will give you a gorgeous blowout look in only a few minutes. All you have to do is brush your clean dry hair, taking small wefts and passing the brush through them slowly (similar to what you would normally do using a flat iron). 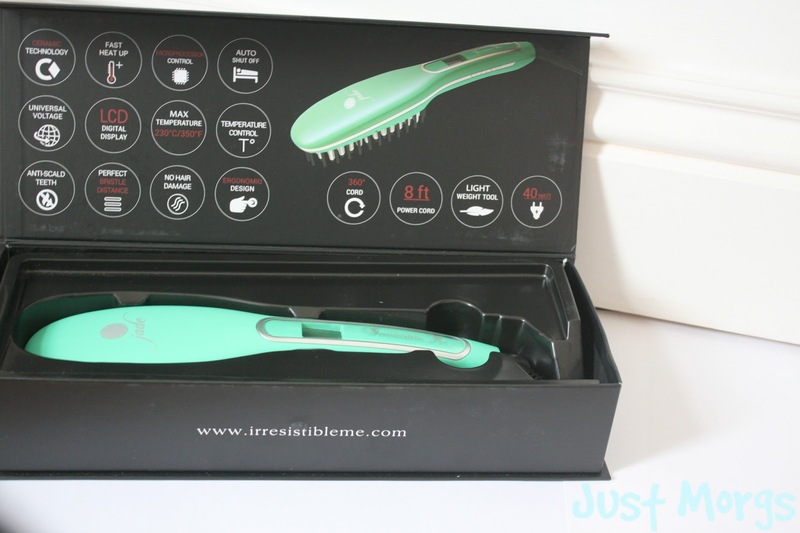 You’re going to be surprised how much faster you can straighten your hair with the Irresistible Me Jade than using the tension or chasing blow-drying method." As for first impressions of the brush, I fell in love with the colour (I mean, how prettyyy!) but I was also really happy to see the LCD and temperature display which the current straighteners I use don't have. There are also small buttons on the side of the brush to turn the too on, and increase/decrease the temperature easily. I thought I would take you through the process of how I used the brush when straightening my hair with it, too so you can get a rough idea of how it varies to a regular tong- style straightener. Firstly, I plugged the tool in and was so happy with the 8ft length of the chord too because it meant I could use the plug socket anywhere in my room and still reach the mirror. I must add though, that Irresistible Me is an American brand so if you're a British gal like me you would most likely need a universal adaptor - but you can buy them on Amazon for under £3 so don't worry haha! The brush took no time at all to heat up, which is great for a typical morning rush and I easily changed up the temperature (130C - 230C) using the buttons to suit the texture and condition of my hair. The tips of the bristles and the outer row of teeth are anti-scald so you won't burn yourself even if the bristles do touch your scalp accidentally, phew, and the bristles are also anti-static. Taaa Daaa! So as you can see from above, the straightening brush made such a difference to my hair but what I was most impressed with is how much volume it still kept in my hair after using it. Often with tong straighteners, your hair can end up being a little flat and thin as well as straight but this definitely did not have the same effect. I love the idea of being able to both brush and straighten your hair at the same time (saves so much time!) and because the bristles are so thick it straightens large amounts of hair at a time. Unfortunately the brush isn't going to give you poker straight hair because the heat is spread across a larger area and your hair isn't clamped down like using an iron. But, I really quite like the natural look it can give. Fast heat time, Anti Scald/Static bristles, Keeps volume in hair, smooths large amounts of hair at a time, Time saver. Must have an adaptor to use, Won't give you poker straight hair in the same way tongs do. Overall. 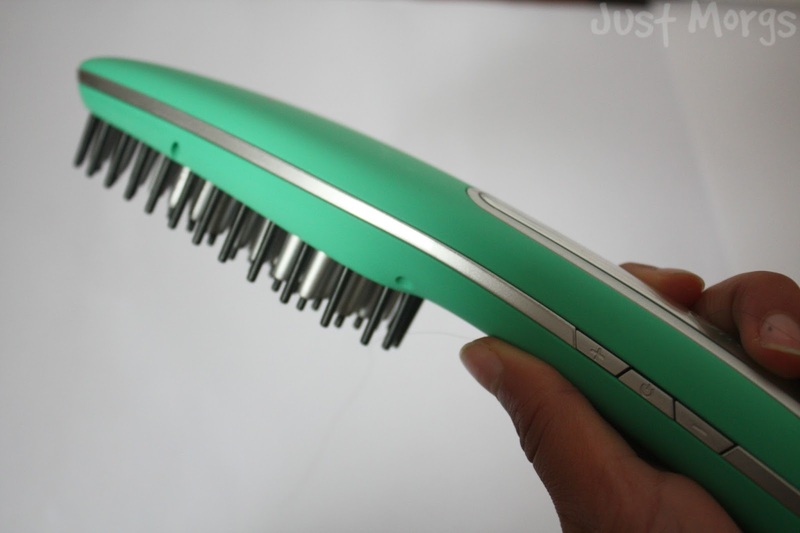 I'm really happy with the Jade Hair Straightening Brush! 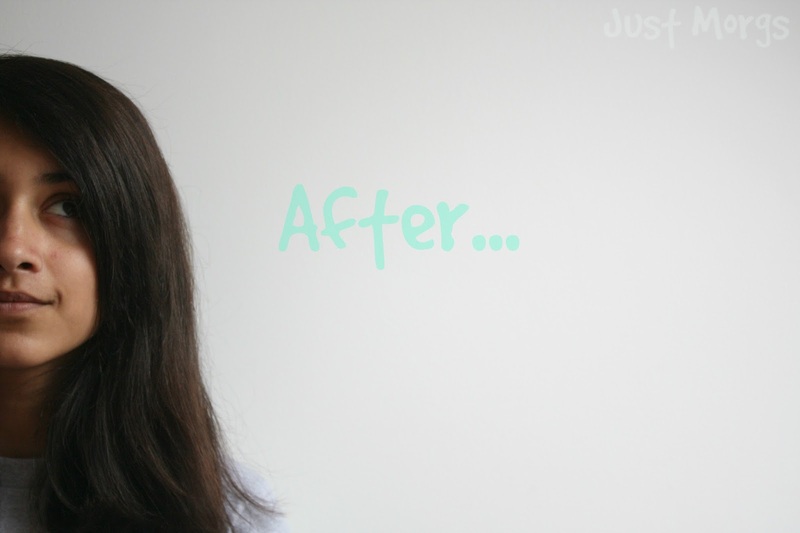 It really did wonders for such a small amount of time and whereas it didn't make my hair poker straight it certainly made it feel and so much more controlled, and frizz free than before (with no flat, thin look to it!) I wouldn't say I'm ready to ditch my GHD's for it, but as an addition to my rushing morning routine is will definitely be perfect. 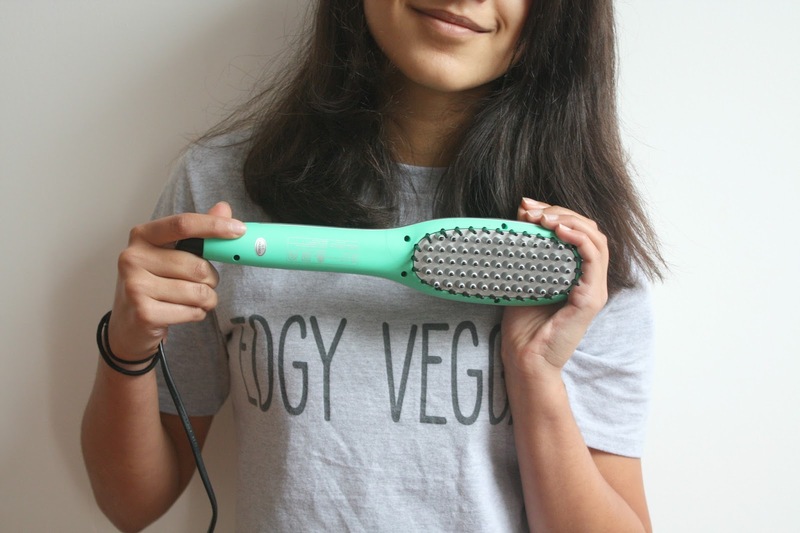 If you're someone who's looking for a fast and effective tool to straighten your hair with, while still maintaining the volume of it - I'm sure you'd love this! 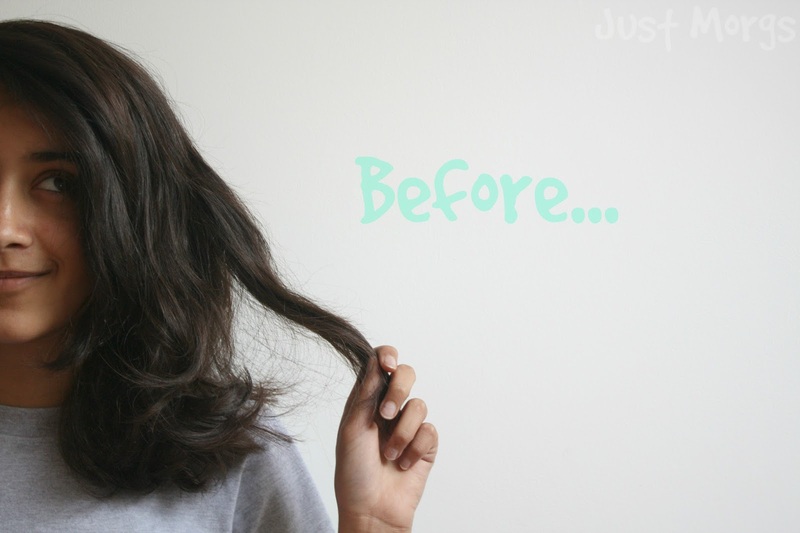 QOTD: IS YOUR HAIR NATURALLY CURLY OR STRAIGHT? This is something I should consider trying for who I want to straighten my hair. I have been wanting to try these for ages, but i again thought they weren't going to be very good! I think I am going to have to try it! Thanks for the honest review! This look fabulous! My hair is generally wavy so I think this would work great - I might have to have a sneaky look into it as I'm so lazy when it comes to doing my hair! 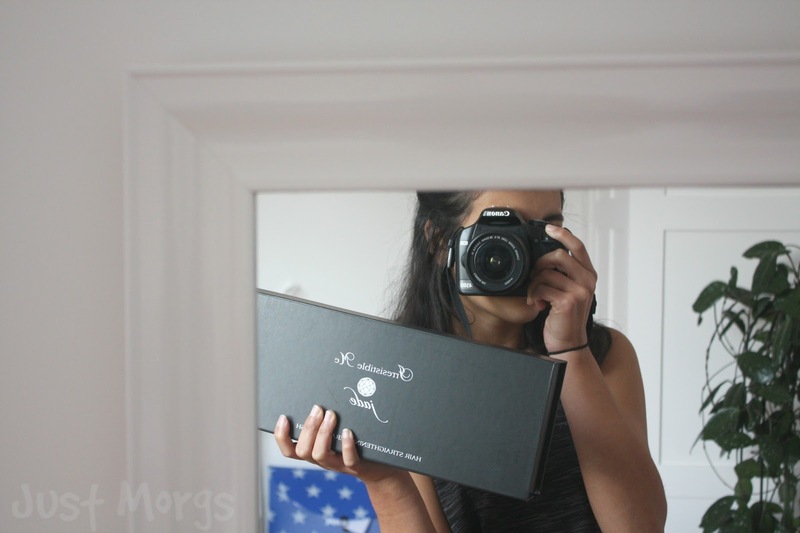 Thank you for this post lovely! I really want to try this product, I have heard such great things about it!